One of, if not the highlight, of my time at Cardiff University so far has been receiving the opportunity to study abroad. Around one month ago I returned from New Zealand after five months of studying at Auckland University of Technology (an opportunity Cardiff provided me with). 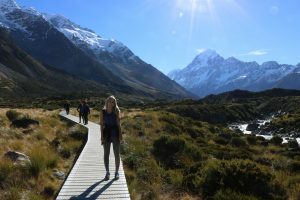 I have always been someone who has loved travelling and after living in New Zealand for five years, as a child with my family, I knew that at some point during my university experience I would love to be able to spend some time living abroad – either re-visiting New Zealand or living somewhere new. In my first year at Cardiff when I was emailed about the opportunity to study abroad for a semester, I applied immediately. Fortunately I was given the opportunity to study in Auckland, New Zealand, for my second semester of second year. Organising my move abroad was relatively straight forward and the university provided me with all the help I needed. When choosing to study abroad there is a lot of admin and organisation involved, but the global opportunities department were more than happy to help when I needed it. They even connected me with a student who had previously studied in New Zealand, so that I could ask him questions about the uni I would be attending and the residences I would be staying in. The uni also helped me financially, by providing me with a bursary to cover some of the travel expense, which I was very grateful for. 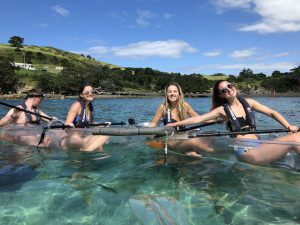 Studying abroad may not be suited to everyone, but it was the best five months of my life and I couldn’t recommend it enough to students who are interested in living and studying overseas. 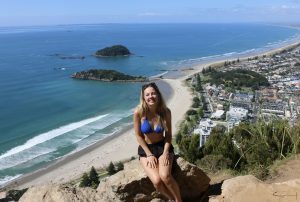 I met such incredible people, whilst I was away, I got to travel to so many places within New Zealand as well as to Bali and Australia and I got to experience a completely different university system and culture. The memories I made in New Zealand will always stay with me and I will always view my time living abroad, as one of my greatest achievements. My advice to future students interested in studying abroad would be this – you will never regret living abroad but you may regret not taking the opportunity when you had the option. Luckily for students at Cardiff University there are plenty of opportunities to live and study abroad in countries all over the world. Find out what’s available with the Global opportunities centre.